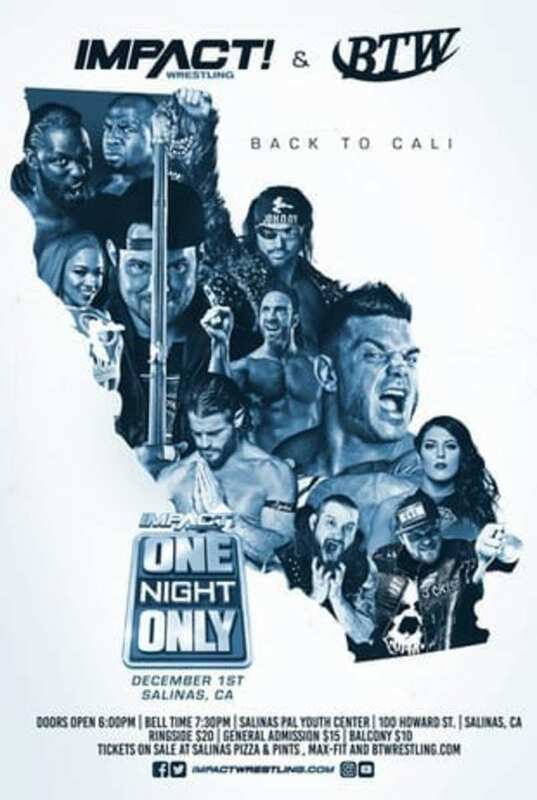 BTWrestling.com – Impact Wrestling and Big Time Wrestling end 2018 by teaming up for shows over the course of two action packed nights in Northern California. Don’t miss your chance to see your favorite Impact Stars and Knockouts in Newark on Friday, November 30th and Salinas on Saturday, December 1st. On Friday, November 30th, “Gold Rush” streaming live on Twitch, takes place at the Newark Pavilion, 6430 Thornton Ave in Newark CA. Doors open at 6:00 p.m. Live Twitch broadcast begins at 7:30 p.m. Front row tickets are sold out! Remaining tickets available at www.BTWrestling.com. The Saturday, December 1st One Night Only: Back To Cali taping takes place at the Salinas PAL Youth Center, 100 Howard St. in Salinas, CA. The event will be taped for the Global Wrestling Network. Doors open at 6:00 p.m. Live event begins at 7:30 p.m. Front row tickets are sold out! Remaining tickets available at www. BTWrestling.com. Pre-show Meet & Greets will start both nights at 6:00 p.m. Plus, BTW stars such as Shane Kody, Tony Vargas, El Gurrero and Calder McColl will appear! 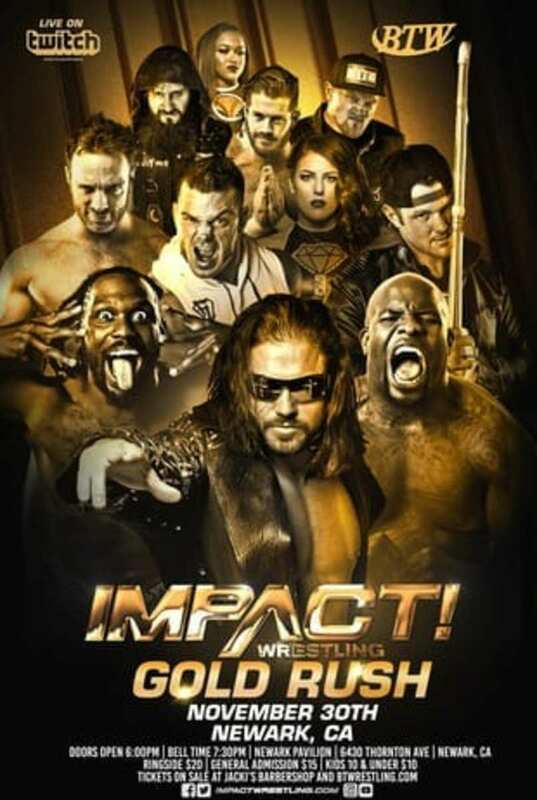 Two nights of family entertainment presented by Impact Wrestling and Big Time Wrestling. Show support and follow BTW: facebook.com/btwrestling, Instagram.com/bigtimewrestling, and twitter.com/BTWrestlingCA.